Trish Markus is a partner in Nelson Mullins Riley & Scarborough LLP’s Raleigh office with the healthcare practice group. She represents healthcare providers and related organizations across the country on an array of healthcare regulatory compliance, reimbursement, licensure, and operational matters, with a special focus on issues surrounding health information privacy, security, and technology. Ms. Markus regularly advises clients on HIPAA and other federal and state law privacy and security compliance, responding to data breaches, meaningful use compliance and audits, clinical research and other innovative uses of data, and telemedicine. 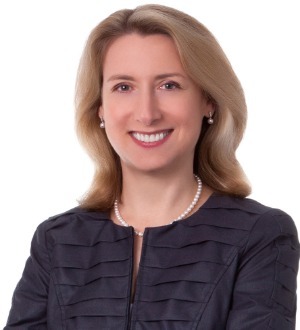 She also represents healthcare clients in reimbursement appeals, acquisitions and divestitures, and serves as regulatory counsel to several behavioral health and substance abuse treatment providers. Trish is a Chicago-area native and lifelong Cubs fan whose first aspiration was to become a Chicago Cub. When the inherent improbability of that dream became apparent, she determined she would become the Cubs' team physician. After struggling with college biochemistry and realizing that she had inherited her journalist parents' writing skills, she decided to attend law school instead. She relocated to Raleigh in 1995, in part to escape Chicago winters. When not practicing law, Trish enjoys jogging, gardening, traveling, attending and watching baseball games, reading, learning about and tasting wine, and spending time with her husband, their two rabbits, and their hedgehog.